Take a generous helping of lamp worked beads by trading partner JJ Jacobs. Mix with seed beads from my stash. Combine with six colors of beading thread. JJ's beads reminded me of the ocean. Since that's an easy association for me, I tried for a couple of weeks to go in a different direction with my piece. Especially since one of the points of this project was to challenge ourselves. Giving in, I finally let myself play, doodling with beads just to see what would happen. Experimenting with random right angle weave for another project, I came up with something that reminds me of sea fans. The shapes and forms were so fun, I added them in here for accent as well. Nearing completion, still needs a clasp. 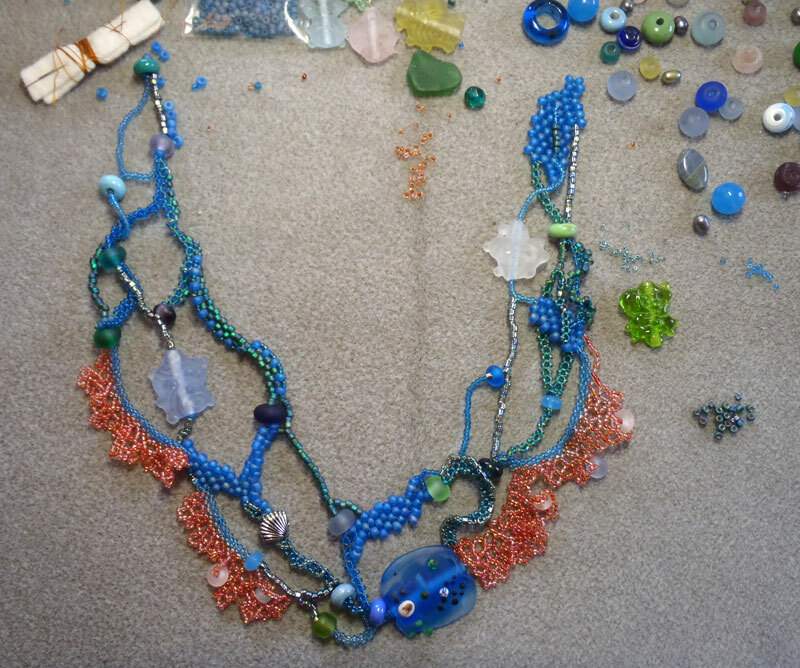 As of Thursday evening, here was the state of my bead soup project. Promising, but no where near complete. It didn't look too bad laying on my bead table, but when I picked it up, gravity did terrible things to the right hand side of the composition, causing it to droop and sag into a limp tangle. Ugh! Not good. Unable to come up with a good fix, I put it away for the day. After a night's sleep, I still hadn't come up with an easy solution, except to cut. 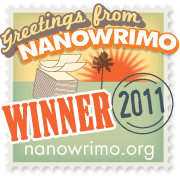 So, first thing this morning, before I could chicken out, I performed surgery (yes, I've now mixed metaphors). I then had to "cauterize" the amputation - securing the surrounding beads - before I could continue. Wish I'd taken some photos of the process. I finally declared the piece done at 5:01 yesterday afternoon. Just in time to take a few photos before the sun slipped below the mountains. Yeah!!!! Over 200 "cooks" participated in the Bead Soup party, and all will be revealing their final recipes today. Here's the complete list so that you can explore the myriad variations of this simple, but versatile recipe. Oh my goodness - What an incredible amount of work. You did a beautiful job putting the pieces together. Great creative imagination. It all works. 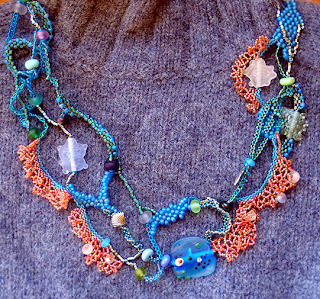 I so envy your expertise with seedbead work-- I'm really going to try to get going on some soon-- if I could only do it as well as you have! Beautiful work. May I have a second helping? That's some delicious bead soup! So impressed you seed bead ladies rock! I cannot imagine the hours that went into this it's just beautiful! Your seed bead work is outstanding! Love all the fun elements on this! What a wonderful piece and it soooo resembles what you were trying to capture!! Nicely done. 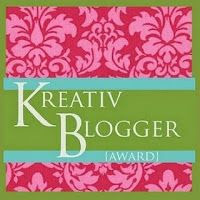 I love your blog and how you carry the readers through your creative proces. have a great weekend! Very creative, I bet it will get lots of comments when worn. 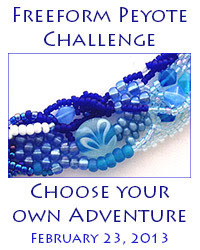 This makes me want to learn a little seed bead weaving! Very cool! I love it so much!! It totally evokes a coral reef in both color and composition; your beadwork is just amazing. Thanks for sharing both the finished piece and the process you went through to make it! Girl, this is soupilicious! Love the coral part. Is that the RAW section?What an awesome presentation of skill. You nailed it! I want to go to the beach now! Love the airy-ness of this! So cool! I decided to start at the bottom of the list (I'm in the middle at #95). I hope you get a really good response from the swap/hop -- So much fun! WOW Karen -- I'm absolutely speechless. 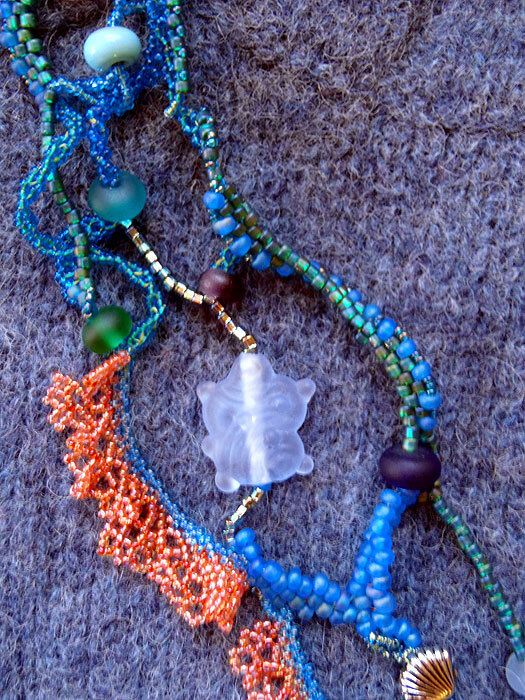 This necklace is stunning and I'm amazed at the way you made my humble beads sing. I'm so glad I was partnered with you and am honored to have contributed to a lovely work of art made by the uber-talented Karen Williams! Wow! That is beautiful! I love the colors and the structure...and the fact that you master seed beading makes me envious. Very nice. Your piece is an amazing free-form -- it reminds me of a coral reef! 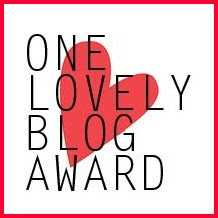 And I really like how you put the photos along the sides of the other bloggers names -- clever! I have NO idea how you even can do what you did -- that's beyond my level of creativity. WELL DONE! Your design turned out like the waves on the sea. Surrounded with the treasures we find on the sand, and layered with beach and tides. I live on the Oregon Coast, and I love it here. This piece is so special!! how fun! It looks just like coral - I love it! Beautiful work and I would really love to know how you preformed surgery without ripping the whole thing out! I am amazed! What a lovely piece. I too love to do freeform seed bead work and yours is fantastic. Its almost as if the piece is alive.. Wonderful. 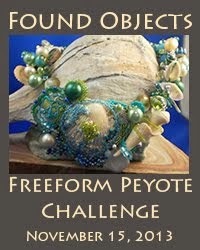 I"m really, really going to have to try freeform peyote! Wonderful job!! Glad you didn't give up, That would have been tragic. I love your piece. Great job! Amazing, I don't work in sead beads they drive me crazy but I sure do love how they look. Oh, all that work. Very interesting and different. I can just see it with a spring outfit. very pretty - look at all those terrific elements - beautiful! Beautiful and unique! 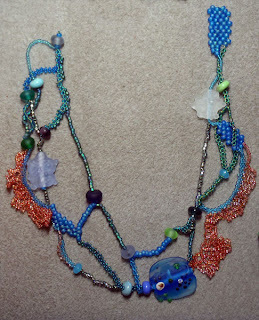 ANother sea themed piece, totally different to my own though (which features some sea life lampworks!) I love all the different stage photos - thanks for sharing those. Lovely. It looks like you grew your necklace... it looks so effortlessly organic. Sometimes when folks strive for an organic look (myself included at times), the piece looks overworked. Your's is like a thing of nature. I can almost see it shimmering under water with little fishies swimming around it. Good job! This sooo pretty!! It looks like it took so much time to create! 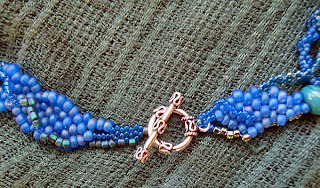 Freeform peyote is what got me hooked on seed beads... I bought a bracelet and a whole bunch of beads fell off... so I had to figure out how to fix it! I love what you made! Will have to check out your book! Great RAW with a fantastic feel. I am always in awe of the ability to do this kind of beadwork, stunning piece! Funny that just as soon as I saw your first picture I was reminded of the water. . .I guess that's a good thing. So sorry that you had so many problems, but it looks just divine!! This reminds me of a seafloor, that's teaming with life! Congratulations on an excellent representation of Nature! Oh wow! Really cool. Your beadwork is amazing. I see the ocean, waves churning, sea life teeming, great vision, great necklace. Love the beadwork. Oooooh, is this ever gorgeous!! I'm a real fan of free form beadweaving but I've never actually tried it myself. Your necklace is amazing! wow, how many hours? this is an awesome necklace. Hi Karen i can only think of one work right now "AMAZING" i would love to know how to do that all those teeny tiny beads must b a lot of work thank-you very good job! I love freeform! 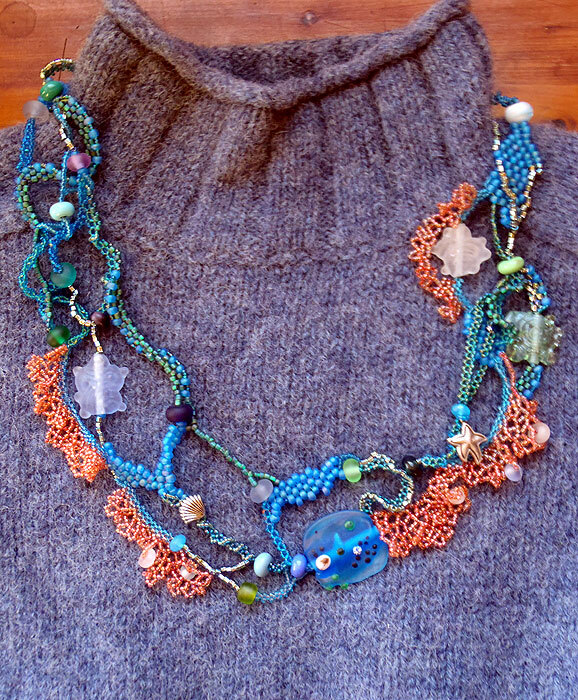 This is a fun necklace and it showcases your soup beads very nicely. Oh my goodness some one has some serious beading skills!!! I'm taken back by all the work that went in to your necklace. You did a Soup-er terrific job!!! wow! 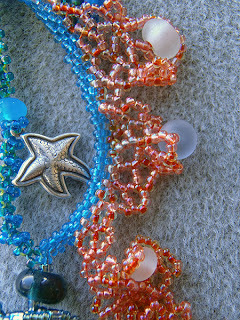 I just love free form jewelery, and your definitely has an ocen theme going on! its beautiful! You really made a Snazzy necklace here! It would be so fun to wear this anywhere. You have made a wonderful Soup you really have! Oh, goodness - you beadweavers are rocking my world on this Soupy Journey! What a wonderful, artistic piece this necklace is! Totally awesome and unqiue! 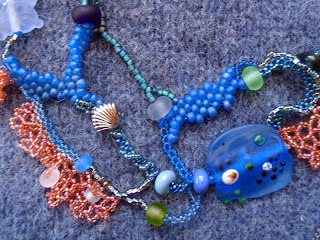 There were a lot of beach and ocean-themed stashes swapped in this bead soup, but you know, they were all completely different from each other and so were the pieces that were made with them. That is so impressive! I totally LOVE what you did here! It looks so fantastic (that must have been a lot of work, though... *faint*). You recreated the look of a coral reef perfectly! I like that you took the picture of it against a sweater; it looks so at home there! Funny. XD Love the colors and the design, amazing work! I love what you did! It reminds me of the waves of the ocean and snokeling among the coral and fishes...lovely work!!! Bravo! 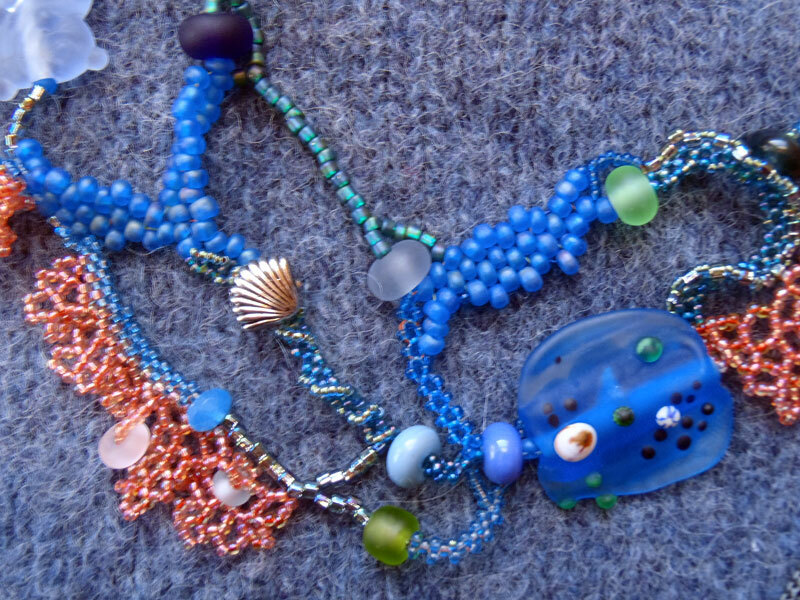 This piece makes me see myself lying on the beach in the sun and then snorkeling to cool off. Love it! Your work with seed beads is gorgeous! colorful coral reef, amazing job! 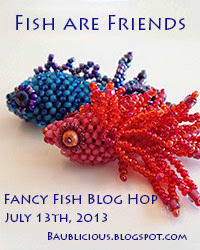 Fabulous BEAD SOUP Friend!!! I love what you designed with all your components... Beautiful work!Thanks for sharing your creativity!! What a wonderful, time intensive, fabulous and gorgeous beaded necklace! Love, Love, Love! What a creative and unique necklace! I'm always fond of freeform. And it's doing a very good job of picturing the underwater scene with the corals. Nice - so much work went into that! 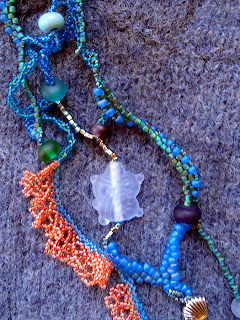 What an unusual and interesting necklace very nice. I see waves, coral, fishies, this is amazing. I can only admire all of the tiny time consuming work involved in this bead soup. AWESOME! Wow I love your seed work... you've done an amazing job. Very unique and definitely wearable art! Well done! Puuuhrrrty! I love the freestyle organic styling!! I love what you did here! 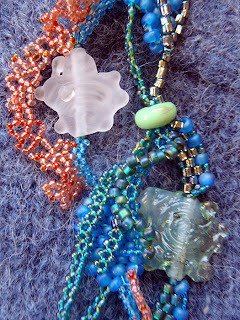 I like wearable art and truly one of a kind pieces! I am still hopping for the BSBP too! Thanks for your comment on mine. You do incredible work... love your fabric art too!